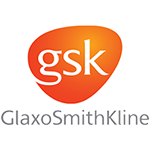 GlaxoSmithKline Vaccines (GSK Vaccines), the vaccine division of the GSK Group, is a global vaccine research, development and production company, at the cutting edge of innovation in the fight against the most deadly infections and diseases. Headquartered in Belgium, GSK Vaccines employs over 12.000 people worldwide, of which 8.000 in its three Belgian sites: Rixensart, Wavre and Gembloux. Facing a strong growth and changes in ways of working, GSK decided to implement a new workplace concept called ‘Smart Working’ in line with its corporate culture.